Happy Monday! I hope everyone enjoyed their weekend as much as I enjoyed mine. I gave a paint workshop on Saturday and went to the Nashville Flea Market yesterday. I have photos from the workshop and the market to share with you later this week! Amanda from Mommy Is CooCoo put together this top diy projects post and was kind enough to share it with some of her friends! And I’m sharing it with you. This post has something for everyone! 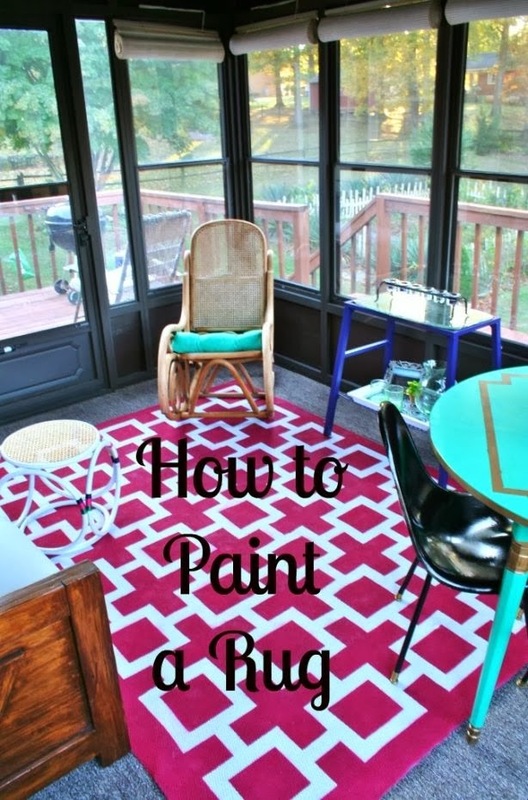 The Blogging Buddies are going to show you how to mix paint…. 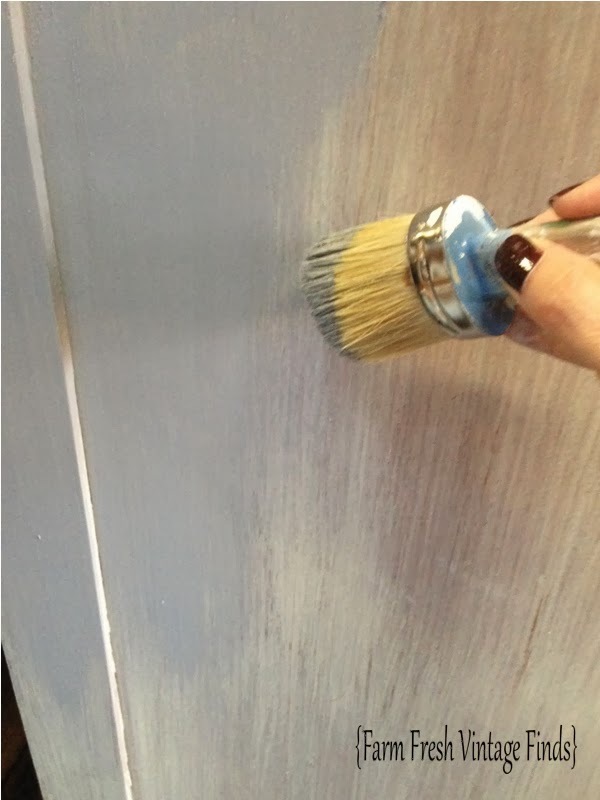 paint with Miss Mustard Seed’s Milk Paint, Annie Sloan Chalk Paint, spray paint, AND a paint sprayer! 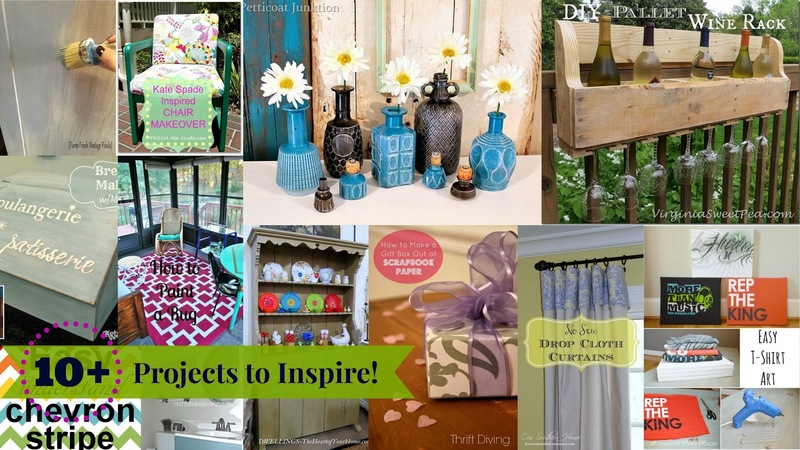 We are also going to transform old t-shirts, roadside finds, ordinary drop cloth, and a bathroom on a budget! We’ve also thrown in a pallet project and a TV celebrity?!? If you’ve been wanting to try the chevron pattern but are a little intimidated, Amanda from mommy is coocoo has got the tutorial for you! Make sure you check out the video too. No Sew and Budget Friendly. 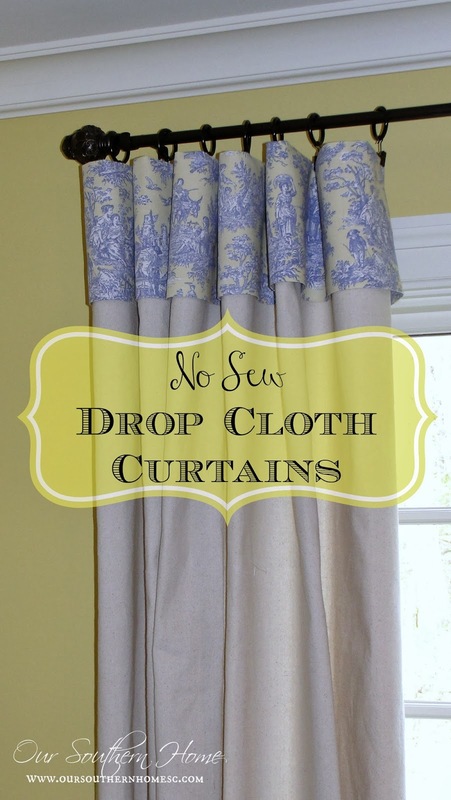 Christy from Our Southern Home bought regular old drop cloth and used left over fabric to create these beautiful curtain panels. Her detailed tutorial will guide you right through the process. Beth takes all the intimidation out of mixing milk paint. What container should you mix in? 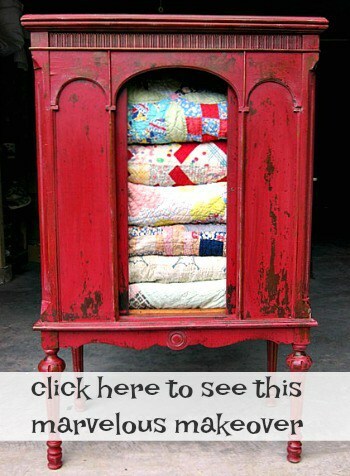 Farm Fresh Vintage Finds has a great tip! You’ll definitely want to check out Beth’s kitchen cabinet makeover while you’re there too. 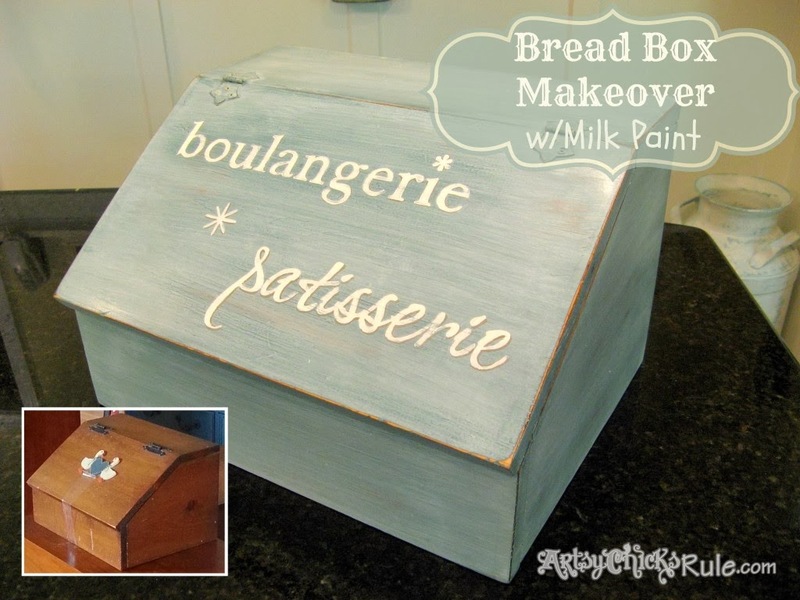 Nancy took a dated 80’s bread box and turned it into French Fabulous using Miss Mustard Seed Milk Paint. Artsy Chicks Rule will show you the painting process and how to do fun graphics! Megan from Rhapsody In Rooms painted this indoor outdoor rug (in no time flat) with a paint sprayer. See what Megan can do with duct tape. Wow! I had no idea! Therese found this chair on the side of the road and transformed it. 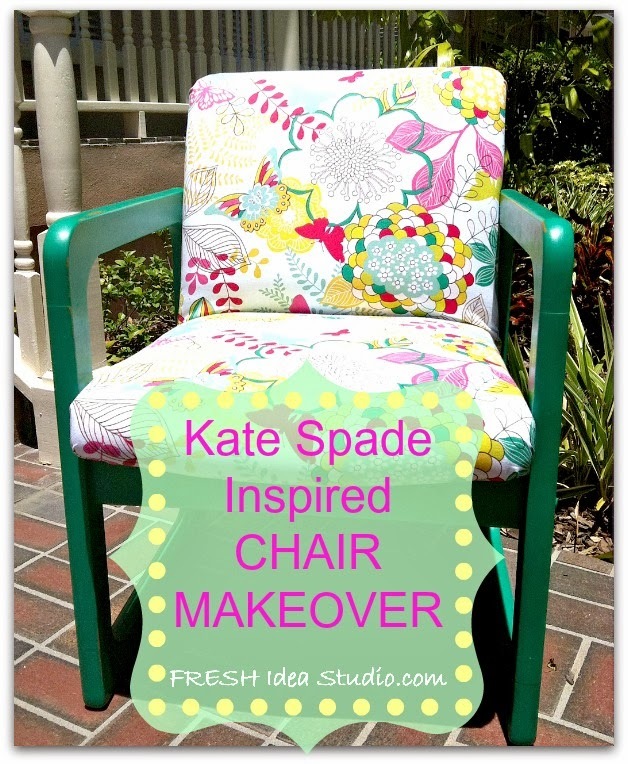 Check out the before picture at Fresh Idea Studio and let us know if Kate Spade would have entered your mind! Now on to our celebrity! 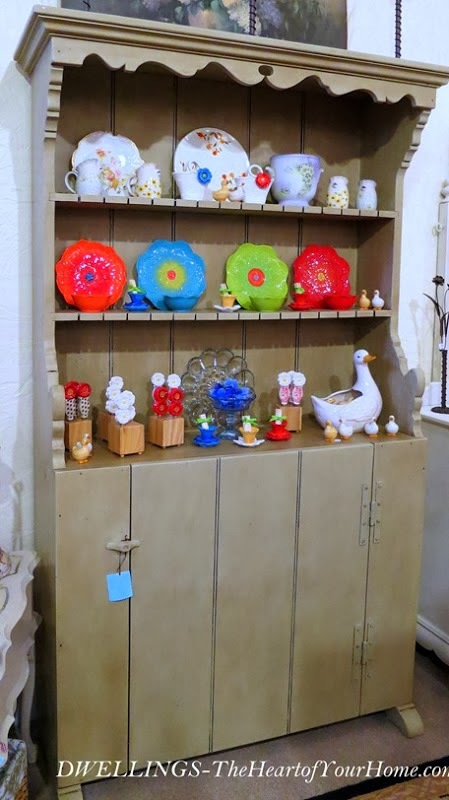 Serena from Thrift Diving has an awesome project that you can make in five minutes. 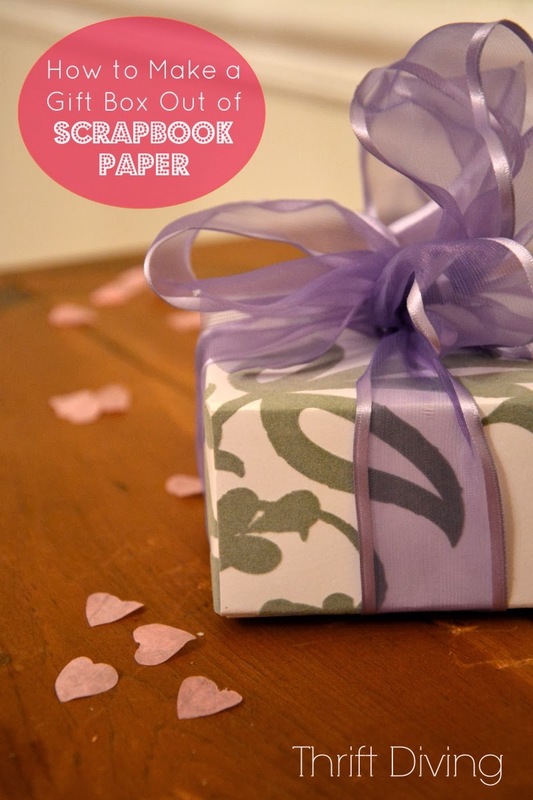 Serena was on TV – showing people how to make gift boxes out of scrapbook paper. 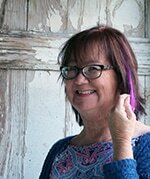 Wanda got out with the old and in with the blue at Recreate and Decorate. Her DIY Bath renovation on the cheap is one you don’t want to miss. 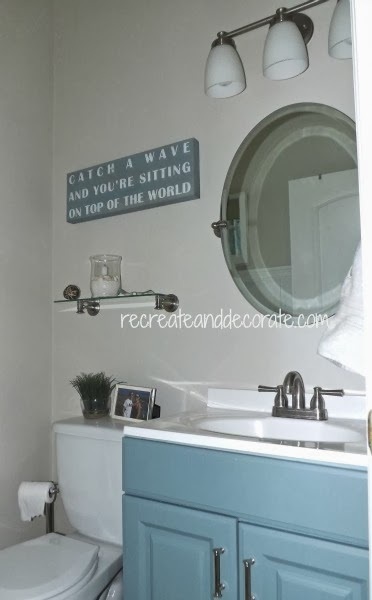 Her standard vanity become something special with she painted it blue. It wasn’t easy for her (she likes pine) but Cindy from Dwellings – The Heart of Your Home transformed not one but two pieces of pine furniture with Annie Sloan Chalk Paint. 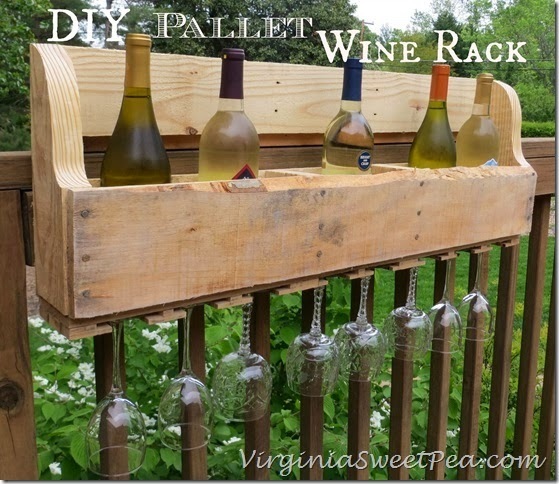 DIY Pallet Wine Rack from Sweet Pea. Paula took what some folks would throw out and made it into something functional and really cool to look at on the porch! Petticoat Junction (that’s me!) 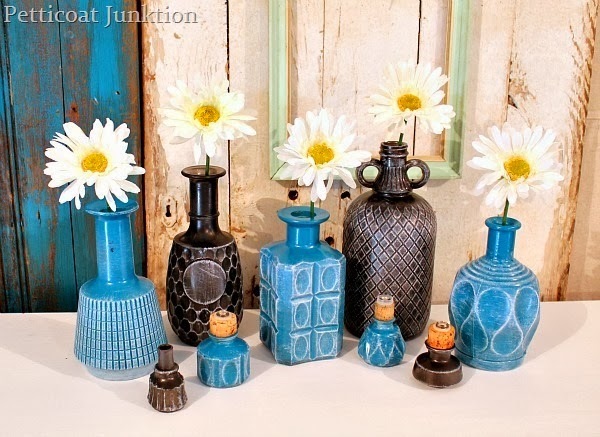 up-cycled used decanters into flower vases! Check out the before picture! Are you a fan of inexpensive projects that don’t take long to complete? 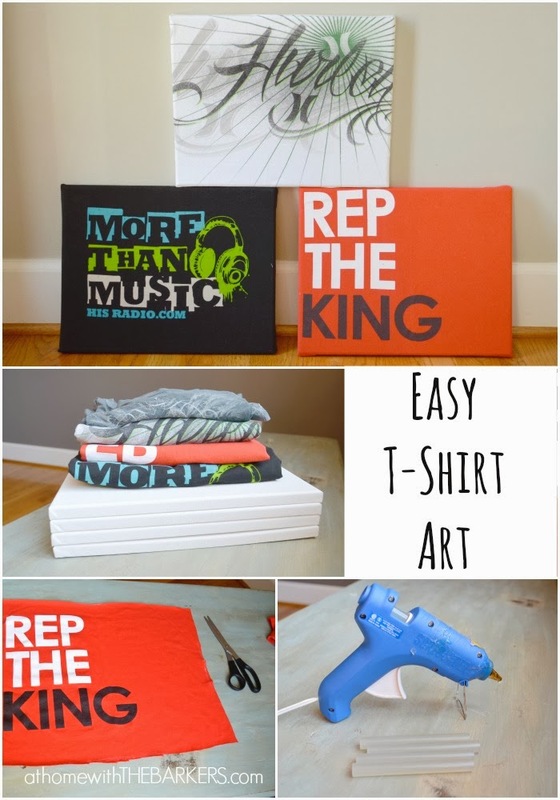 Sonya up-cycled her son’s old t-shirts into art At Home with The Barkers. Guess how the picked what t-shirts to use? Sonya is such a nice mom! All great projects! I’m reeeeaaally digging the wine bottle holder from pallets! Brilliant, Virginia! 🙂 Thanks for sharing my How to Make a Gift Box tutorial, Kathy!